or almost ten years now I've been using the same perfume, Jennifer Lopez's 'Glow'. I just love the scent and it has always been my favorite. Since I have used it for such a big part of my life, especially considering my age, I have been looking for something that would be more 'me'. One that would represent a more mature, 25 year old that is. 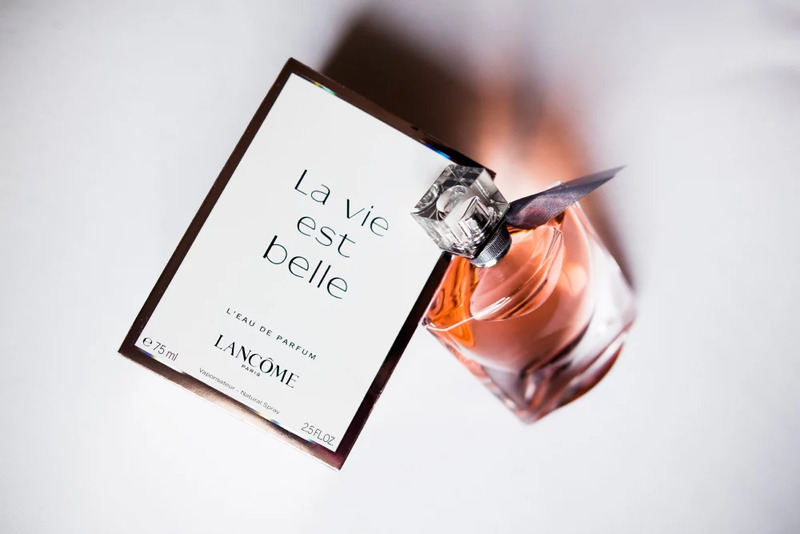 Yesterday my boyfriend came home from his USA trip and on the way home he had picked up Lancôme's "La Vie Est Belle" as a gift for me. I was so happy! 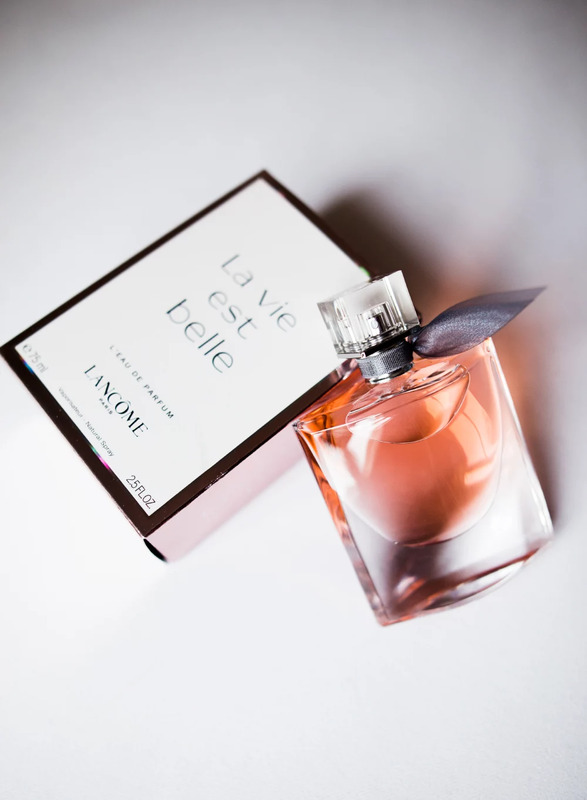 I have smelled this perfume many times, but always chickened out, thinking that I wouldn't dare changing the scent that I've used for so long. But with just a few drops left in my 'Glow' bottle I think it's time to say goodbye. New era, new scent and an amazing design!